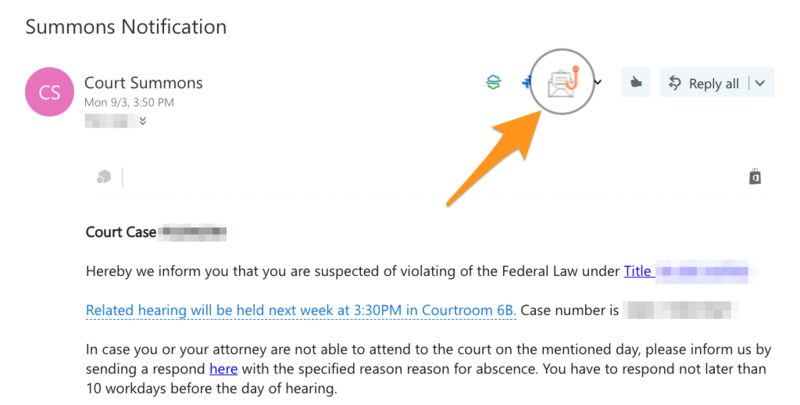 If you're using the Office 365 (server-based) Phish Alert Button (PAB) in Outlook 2016 and you would like to add text to the PAB, you are able to. The text shown for the DefaultValue is where you may enter a replacement for the labels that say "Phish Alert" by default. Then, save the file and install the PAB as you normally would. First, remove your existing PAB add-in from Office 365. Then, add the new .xml file you've edited as an add-in. Having Trouble Locating Your Account Settings? To locate your Account Settings, click your email address on the top right of the console, and click Account Settings. The O365Manifest.xml is located under the Phish Alert section in your Account Settings.